July 31, 2015 The Full Moon Was Calling Me on My Off Day and it Sure Paid Off!!! 28 in. 7 1/2 Pounds of Lake Calcasieu Fun!!! July 31, 2015 The Full Moon Was Calling Me on My Off Day and it Sure Paid Off!!! 28 in. 7 1/2 Pounds of Lake Calcasieu Fun! My Personal Best! Released to Grow Even Bigger!!! 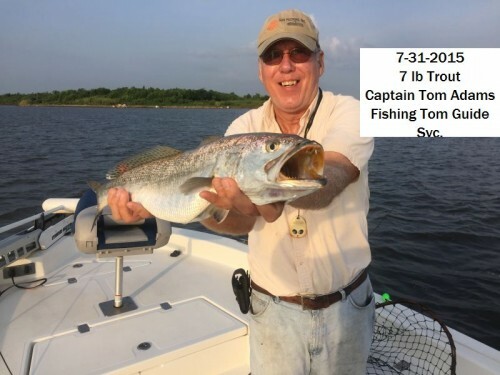 July 30, 2015 Ronnie S & Son John & Friend Stephen T. Have a Great Day Catching a Lake Calcasieu Limit of Trout with Captain Tommy!!! 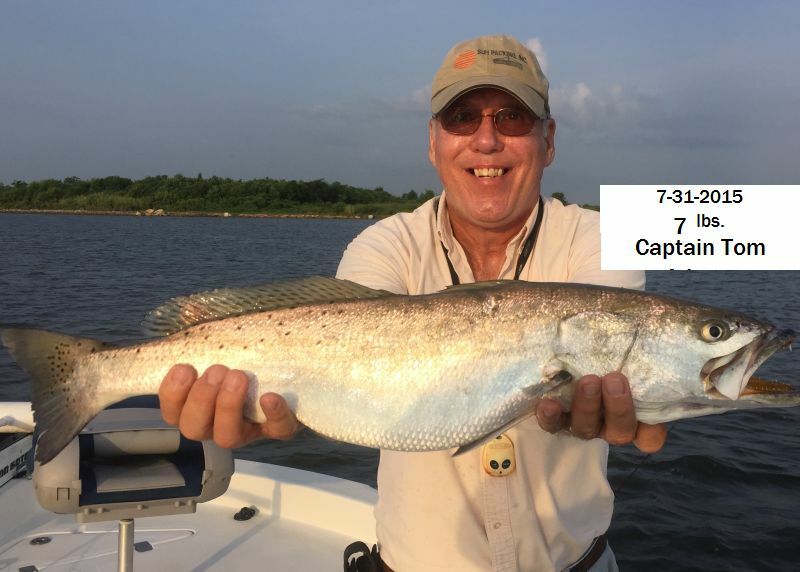 July 30, 2015 Ronnie S & Son John & Friend Stephen T. Have a Great Day Catching a Lake Calcasieu Limit of Trout with Captain Tommy!!! Including this nice 7 pounder released to fight again!!! John caught a nice 5# and 7# Trout and said the state record was next!!! They have already booked their October return!!! 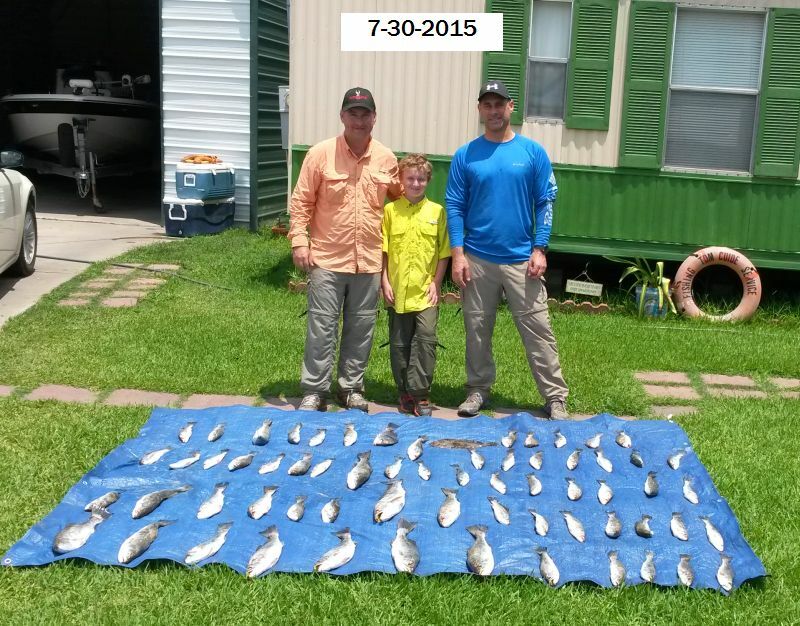 July 29, 2015 David M, Wife Susan & Children Erin & Nathan Have an Incredible Family Day on Lake Calcasieu with Captain Tommy!!! 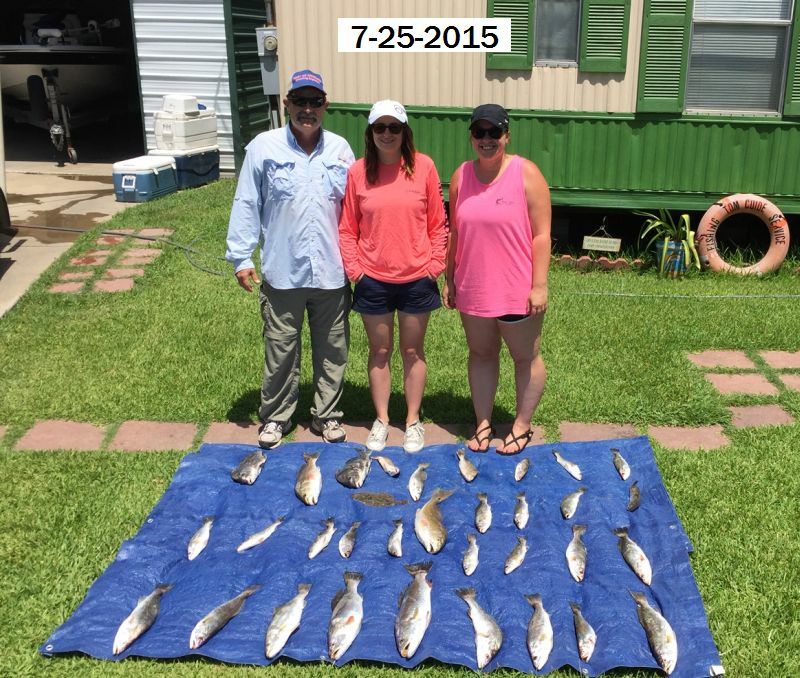 July 29, 2015 David M, Wife Susan & Children Erin & Nathan Have an Incredible Family Day on Lake Calcasieu with Captain Tommy! That caught a nice mess of trout, reds & Flounder!!! 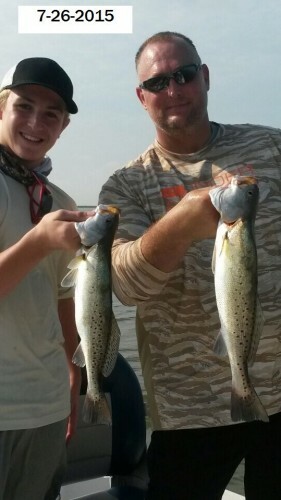 July 27, 2015 Justin W. & Sons Jacob and Lucas Catch Some of Lake Calcasieu’s Finest with Captain Tom!!! 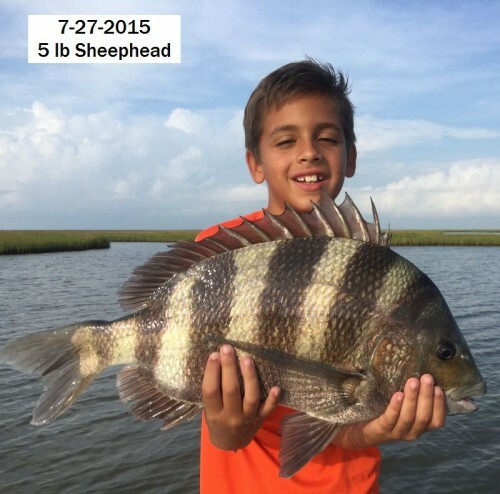 July 27, 2015 Justin W. & Sons Jacob and Luca s Catch Some of Lake Calcasieu’s Finest with Captain Tom! 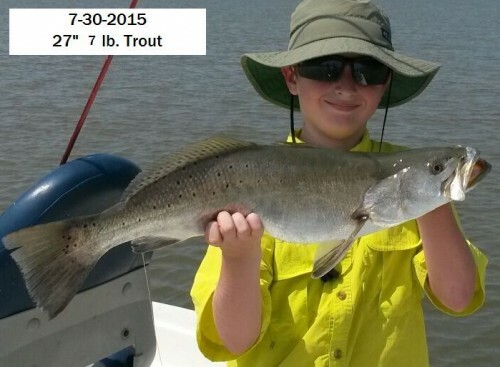 Jacob caught this nice 4 # Trout and Lucus hooked this Monster 5 lb Sheephead!!! 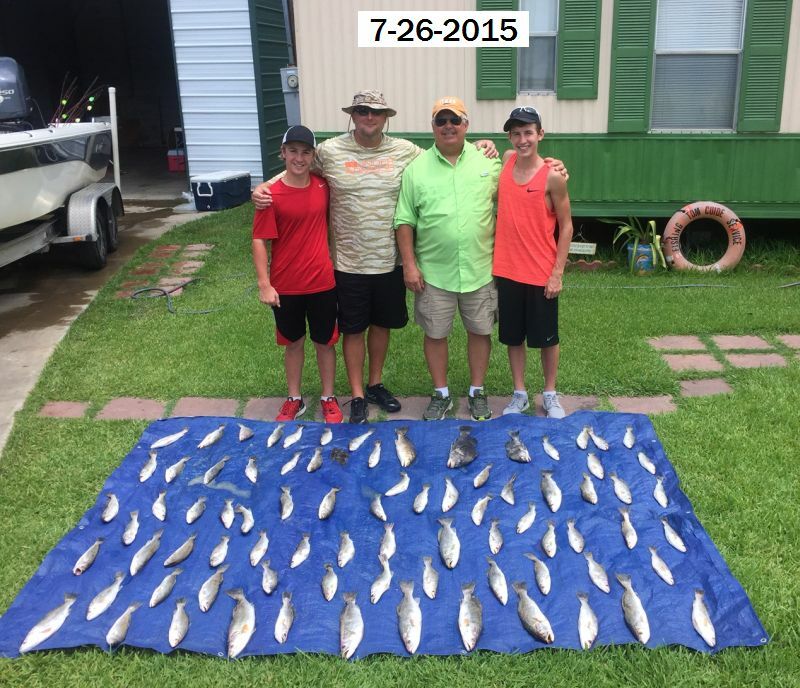 July 26,2015 David M & Family Wack a Nice Limit By 10:00 AM with Captain Tommy!!! 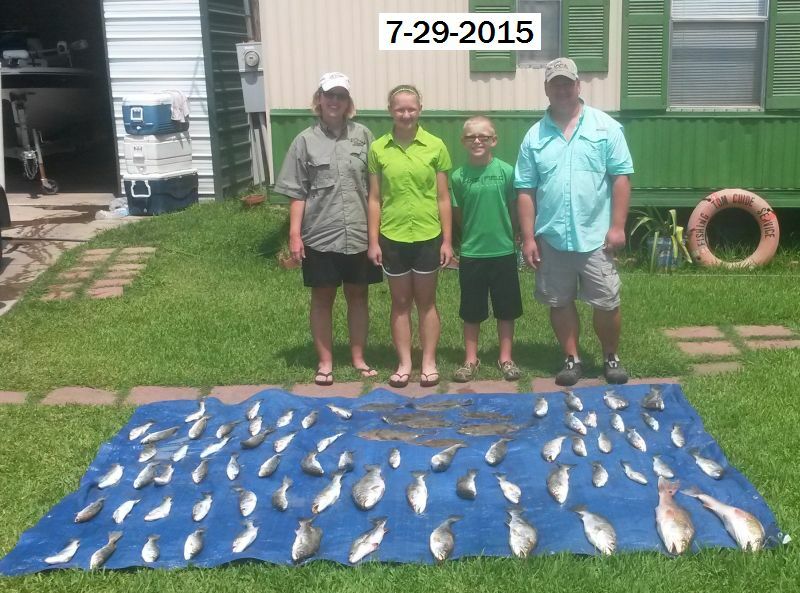 July 26,2015 David M & Family Wack a Nice Limit By 10:00 AM with Captain Tommy! 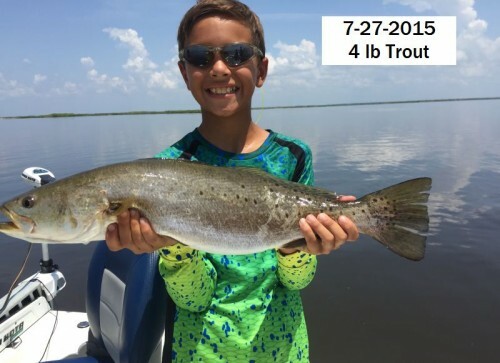 July 25, 2015 Travis S. & Family have a Great Time Catching Big Trout On Lake Calcasieu!!! 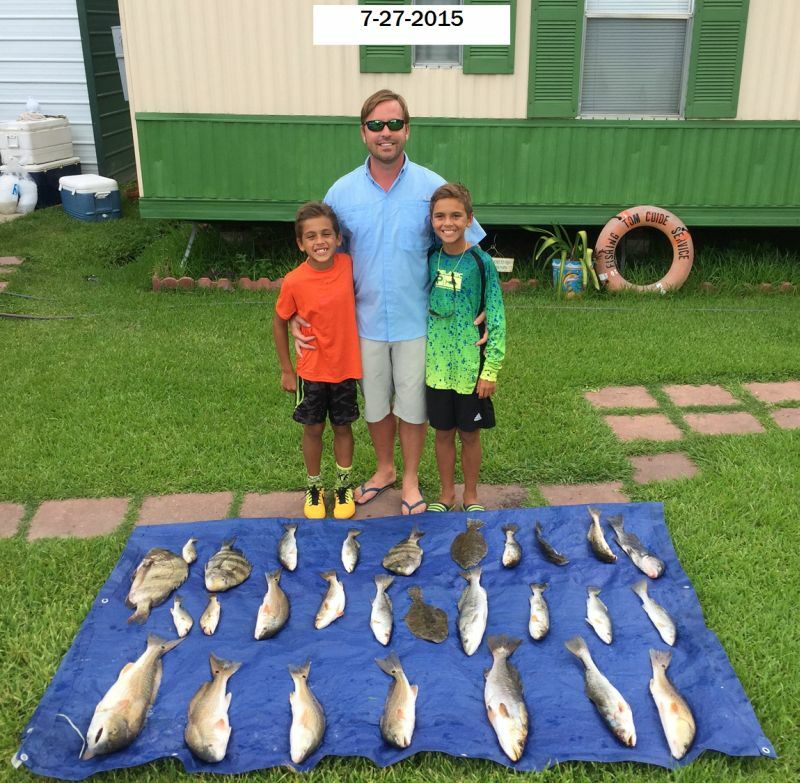 July 25, 2015 Travis S. & Family have a Great Time On Lake Calcasieu!